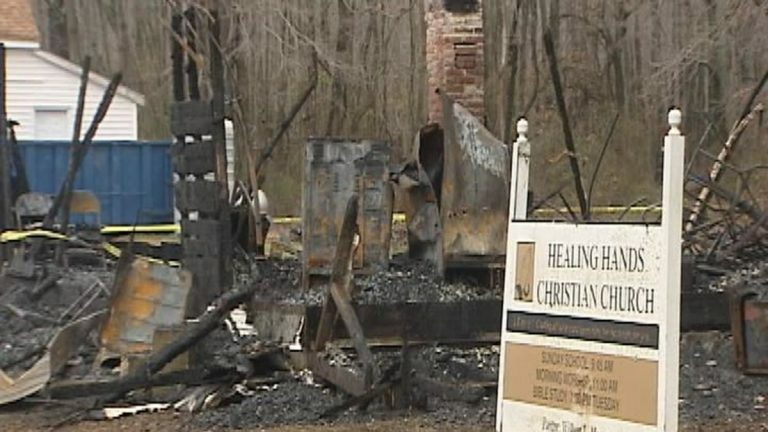 Authorities are investigating three arsons at Delaware churches all in one morning. The Delaware State Fire Marshal’s office says someone started the fires in the Felton area Tuesday morning. The first fire happened just before 2 a.m. at the Healing Hands Christian Church, which was fully engulfed in flames when firefighters arrived. As crews were battling that blaze, another fire was reported at the Manship Chapel. Crews were able to contain that fire. The last fire came at 5:30 a.m. at the Laws Mennonite Church. The damage to all three churches is estimated at $86,000 total, with the bulk of that at Healing Hands, which was completely destroyed. Healing Hands Pastor Wilber Moorer tells The News Journal that he will rebuild.